Ever fancied an affordable bite to eat after an evening in the city centre? 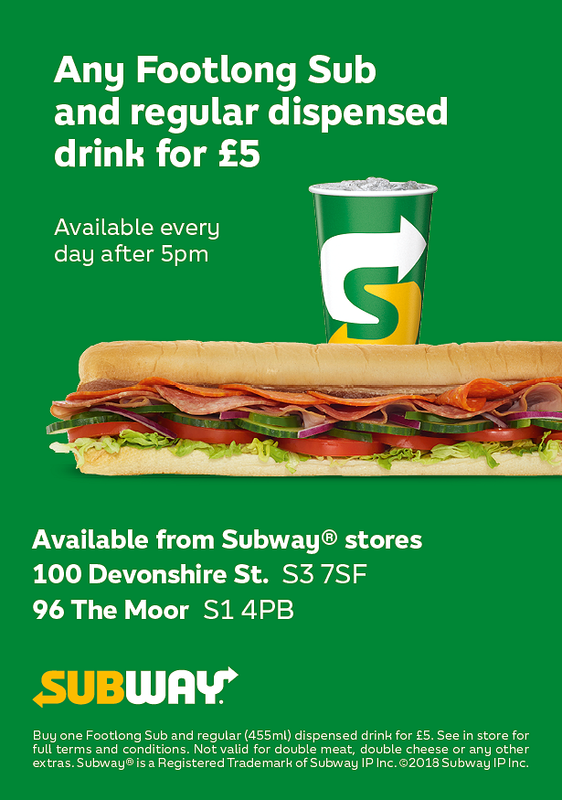 We’ve teamed up with Subway on The Moor and Devonshire Street to give you an exclusive offer that’ll keep you well fed in the city centre for less. 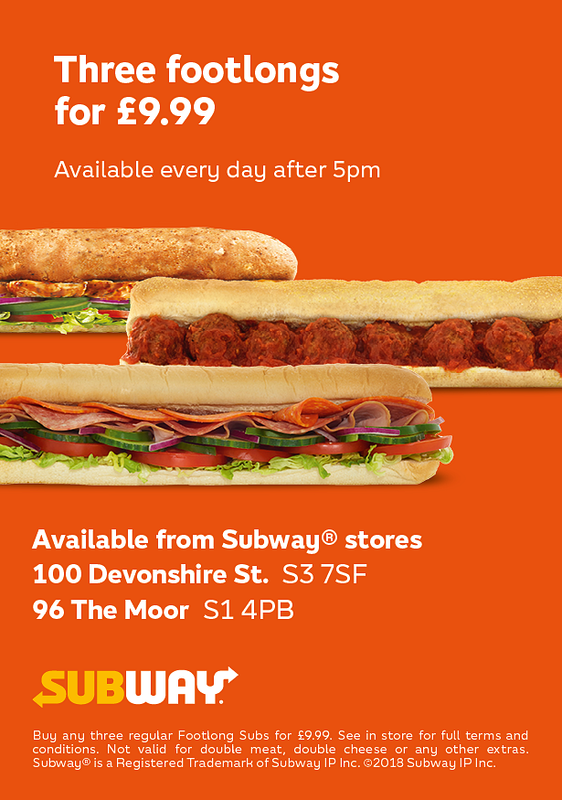 From today, enjoy a foot-long meal deal for £5, or three foot-long subs for £9.99 after 5pm at either branch – that’s on The Moor or on Devonshire Street. You’ll find both branches open until 9 and 10pm (4am on Fridays on Devonshire Street), and all you’ll need to do to use the offer is quote ‘SUBWAYAFTER5’ when ordering (after 5pm) – simple! Subway is just one of the many places in the city that comes alive after 5pm. To see where else is keeping the city lively after 5pm, check out our definitive list.